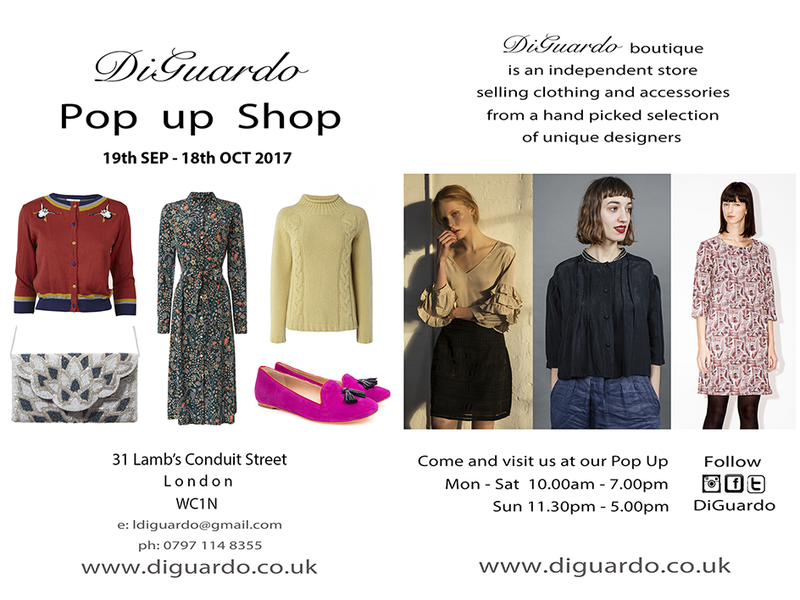 DiGuardo Autumn PopUp Shop will be at 31 Lamb’s Conduit Street, Bloomsbury, from 19th Sept to 18th October. We’ll have new more brands in store with us. And few amazing events. Come to see us and shop our beautiful Autumn 2017 collections.